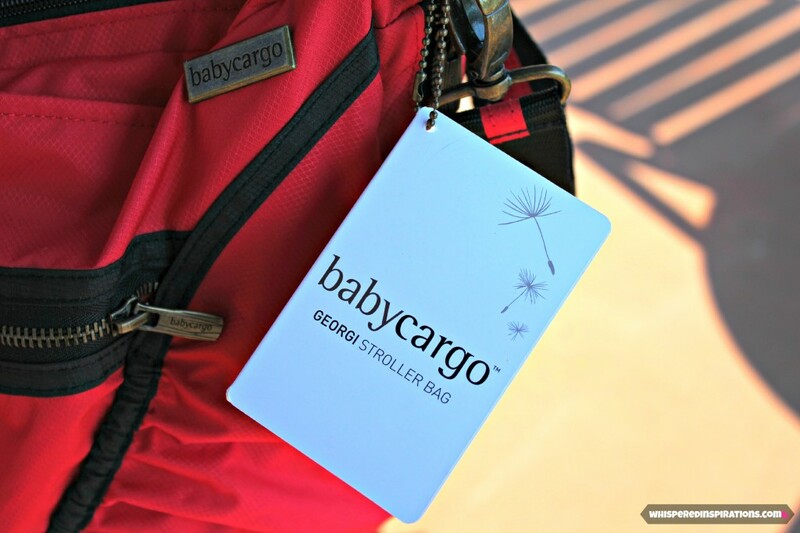 You are here: Home / Product Reviews / Babies & Kids / The Baby Cargo 200 Series Stroller and Georgi Bag: Smooth Travels with The Right Equipment! Enter to Win of Your Own! ARV of $205! 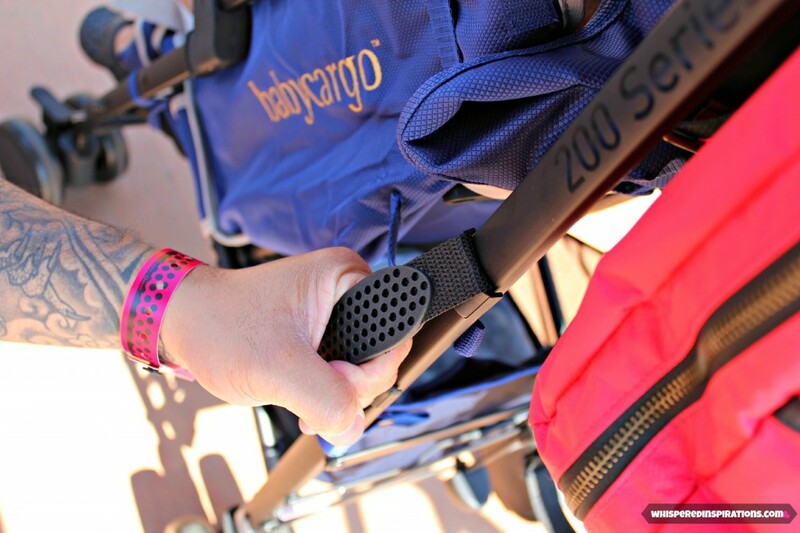 The Baby Cargo 200 Series Stroller and Georgi Bag: Smooth Travels with The Right Equipment! Enter to Win of Your Own! ARV of $205! Building your baby’s dream spaces. I don’t know about you but, something that is really important to me is having quality products for my kids. Ones that I can trust and that I can wholeheartedly say “works” for my lifestyle. Baby Cargo is one of the best strollers that I have owned simply because it is the perfect size, it has great features, it’s affordable and oh so stylish. In Baby Cargo, we’ve managed to combine our true loves (design and baby making — uh, parenting) to design smart and fashionable parenting gear that helps babies’ first dreams to come true. After long walks with babies and families everywhere, we think we have it: make an umbrella stroller that is as stylish and comfortable as it is affordable. We had the absolute pleasure to review a Baby Cargo 200 Series Stroller in Ocean/Stone and a totally fabulous Georgi Bag in Chile/Tangerine. The stroller retails for $149.00 which is worth every penny and if you think about it, it is quite affordable. As you can see, my littlest is still little enough to appreciate a great stroller and when we travel away from home, we want a stroller that is lightweight, durable, reliable and stylish. This is not like any other umbrella stroller that I have ever owned. The stroller is vibrant in color and the material is durable on the outside and where your little on is nestled, it’s cottony soft. This stroller is made to be used from Birth and Up and up until 50 pounds. Mimi still has a loooong way to go to reach that maximum but, she is big enough to fall in love with her stroller. She was asking to go into her stroller from the moment she saw the box. It came mostly assembled and we brought it with us to our small vacation at Kalahari. Not once did I have a problem getting her into the 200 Series, she climbed in herself. 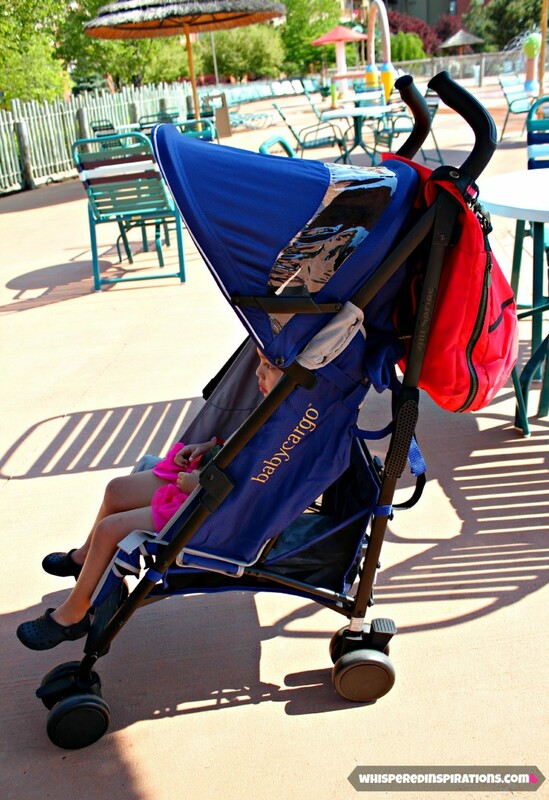 What I loved about the stroller was how easy it was to break down and unfold to use again. It also has this awesome handle for easy carrying when the stroller is folded. 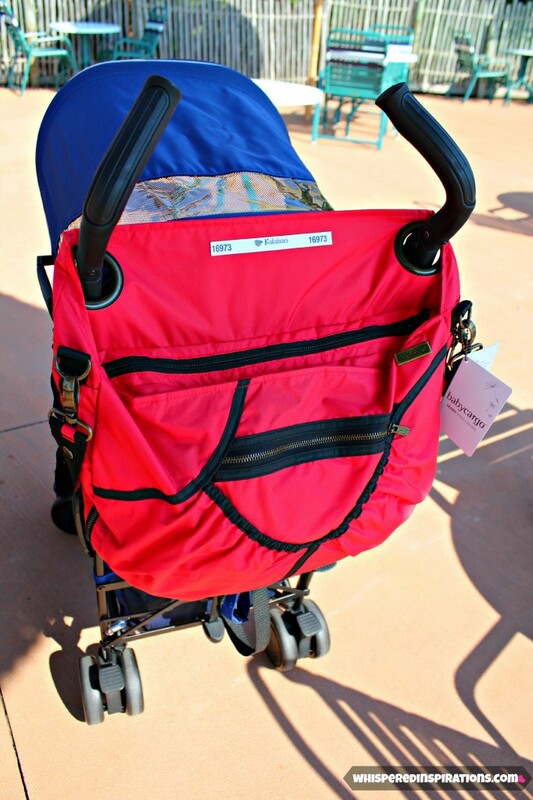 My Hubby loved this because it wasn’t awkward to carry once he had folded the stroller and it has a strap that once folded, you can throw over your shoulder and carry the stroller when it’s not in use. The stroller also has a strong cup holder that can hold cans and your little one’s bottles or sippy cup. Ultra-lightweight black matte aluminum frame—sleek and rust free. Soft sophisticated textiles, easy to clean. Tailored designed back pocket with heavy zippers and a decorative brass Baby Cargo name plate, chic and practical for moms. 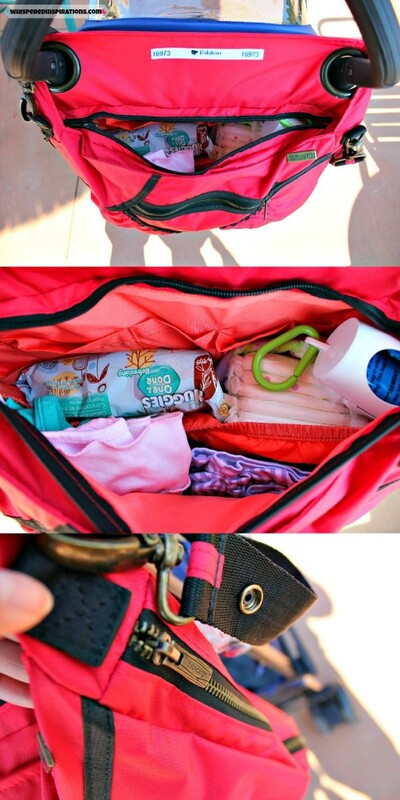 Super compact, easy to fold, perfect for vacations or trips to the shopping mall. A multi-position adjustable backrest and adjustable leg rest. What we loved the most was at how solid to the ground it is, the handles were super easy to use and navigate with, the adjustable canopy and the adjustable backrest that was perfect for when Mimi was sleepy and passed out into dreamland. It was easy to tilt her back and she napped peacefully. The wheels can be locked to go straight or you can let them move freely and it’s an option that I prefer. It is easier to maneuver and the brakes are reliable when on an incline. Yes, that’s me with my new Georgi Stroller Bag. I got many a compliments at the resort when I had this around my shoulder. It’s a beautiful vibrant color and a trendy purse that triples as a diaper bag, purse and attaches to the stroller perfectly. The strap itself can be adjusted and shortened simply by snapping folding the strap and using the snap button to hold it in place. Not only is this a brilliant way to do this, it’s stylish! With your ingenious Georgi bag on handle, your bottles are stowed, your hands are free, and your “put together” style quotient just went up. Brass details like grommets that slide smartly over your umbrella stroller handles and stylishly zippered seams lend heft and style, at once. But what transforms Georgi from fashion item to stroller bag “must” is versatility: beautiful lightweight fabric, a sturdy shoulder strap that snaps to your full-service stroller bar, and a wealth of pockets mean everything stays neatly in place. I was able to stock this baby nicely with a full package of wipes, two stacks of diapers, 3 outfits, bags, my wallet and cellphone. After all of that, I still had plenty of room for more. This bag retails for $49+ and it’s a beaut of a bag! 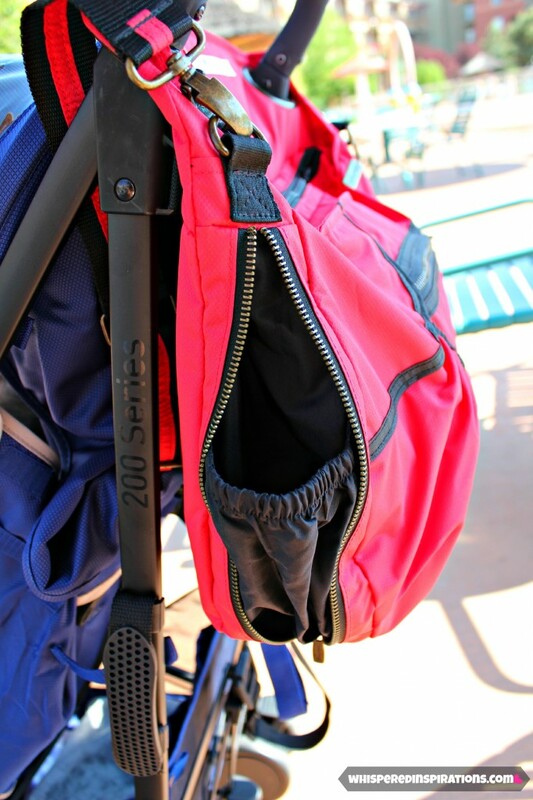 One of the coolest features is the invisible pockets that are on both sides of the bag, so if you need to carry a bottle or sippy cup, you simply unzip it and you’re good to go. When you don’t need to carry a bottle you zip it zip it up and it returns looking like a trendy bag! Beautiful lightweight fabric, brass details & stylishly zippered seams. Brass grommet rings for umbrella strollers. Attachment snaps for strollers with one handle. Zip closure to secure items. Baby Cargo has offered to give away one lucky Whispered Inspirations reader with a 200 Series Stroller and Georgi Bag which an ARV of $200! This giveaway starts June 03, 2013 and ends June 19th, 2013. Open to US/CAN! 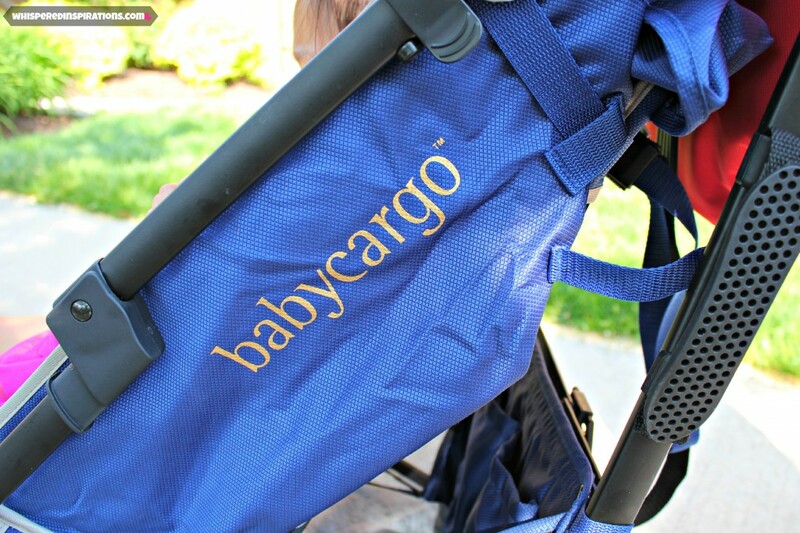 Have you ever heard of Baby Cargo Series 200 Stroller and what color would you most like? Previous Post: « MarcAngelo Foods Contest: The Great Grocery Giveaway with Over $22,000 in Delicious and Mouth-Watering Prizes! LOVE LOVE LOVE the Cherry. TY! … I like the – Ocean / Stone colour best. I would like to have the ocean/stone combination. I like the Cherry/Pom one. I really like the smoke/mirrors colour. I love the Smoke/Mirrors combo! I love the ocean / stone! I'd want the smoke and mirrors! I love the look of this stroller, and how reasonably priced it is! I'd pick the smoke/mirrors stroller. So chic! 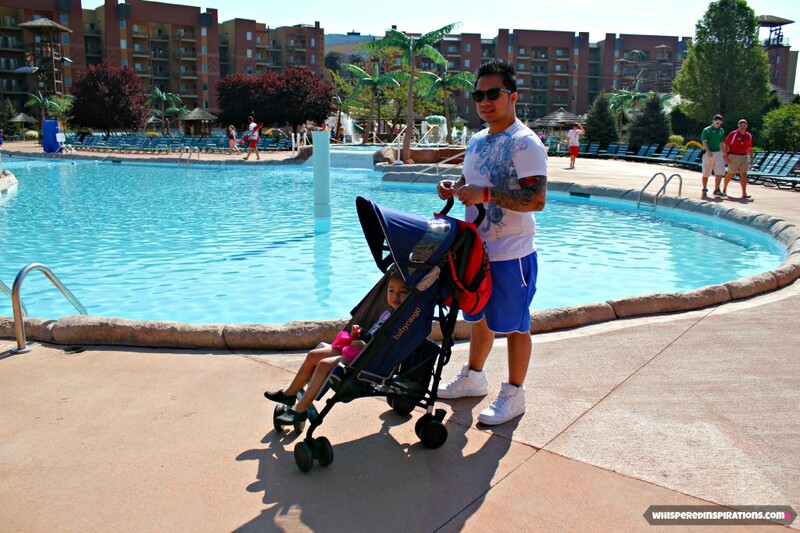 I love this stroller .. has what you need, quality, style and comfort. I would like the cherry/pom colour. I like the Ocean/Stone colour the best. I want the cherry/pom colour. It would be smooth sailing in the ocean stone colour!!! Ocean and Stone. I love the way the bag hooks over the handles. Brilliant! I would love the Ocean/Stone! I’d love ocean/stone! This is perfect for our Caribbean resort vacation with our toddler! First time travelling with him so this should get interesting! Lol every finger x’d for this!! I'd love the Smoke /Mirrors the most. I would love the Ocean/Stone, the Smoke/Mirrors is so pretty too! I would choose Ocean/Stone! I really like it! I really like the Ocean/Stone! Looks easy to travel with! This stuff just gets better and better! Wish I had something like this when my girls were small! I like the ocean/stone color! I had not heard of Baby Cargo Series 200 Stroller and I like the Ocean/Stone. Smoke and mirrors looks nice! My favourite features are the carrying handle and strap. I'm so tired of wrestling with my old stroller! Why don't all strollers have this? I like the ocean/stone, and I have heard of it before. Never heard of this stroller but the smoke/mirrors looks great! I like the ocean/stone color combo! I love the ocean color. I like the smoke / mirrors! OMG so excited to see who the lucky winner of this awesome stroller is!! !